Not your typical post earrings. 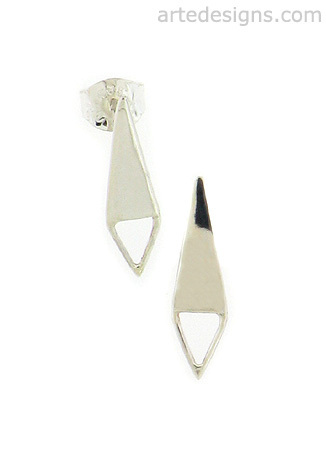 These geometric triangle earrings are simple and understated, but they're also modern and edgy. Just over 1/2 inch long. Entire earring and post are sterling silver.